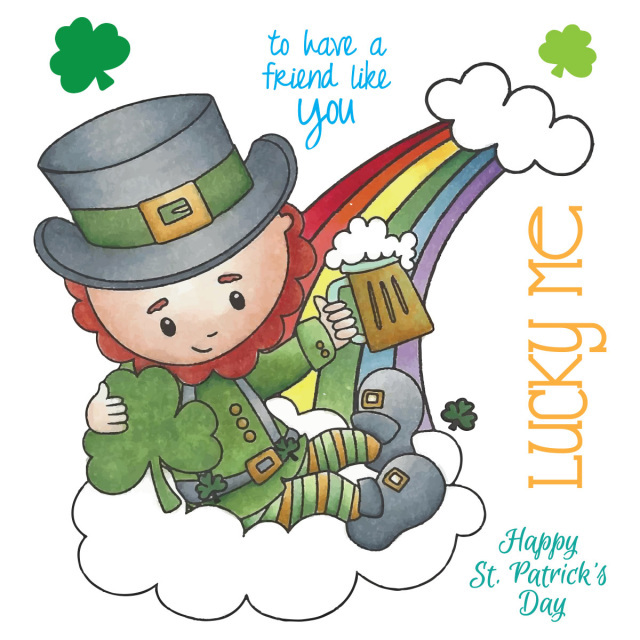 Kendra here from Luv 2 Scrap N Make Cards to share a fun card with you using some SweetStamps.com products!!!! With St. Patrick's day being this coming Thursday, I thought I would create a card using the cute new Lucky Rainbow Leprechaun stamp set!!! This was such a fun image to color!! I also really like the sentiments in this set!! The "Lucky Me" is one sentiment. And the "to have a friend like you" is another sentiment, which I masked up to have it inked and displayed like this. Be sure to come back for more wonderful inspiration from the "Sweeties"! 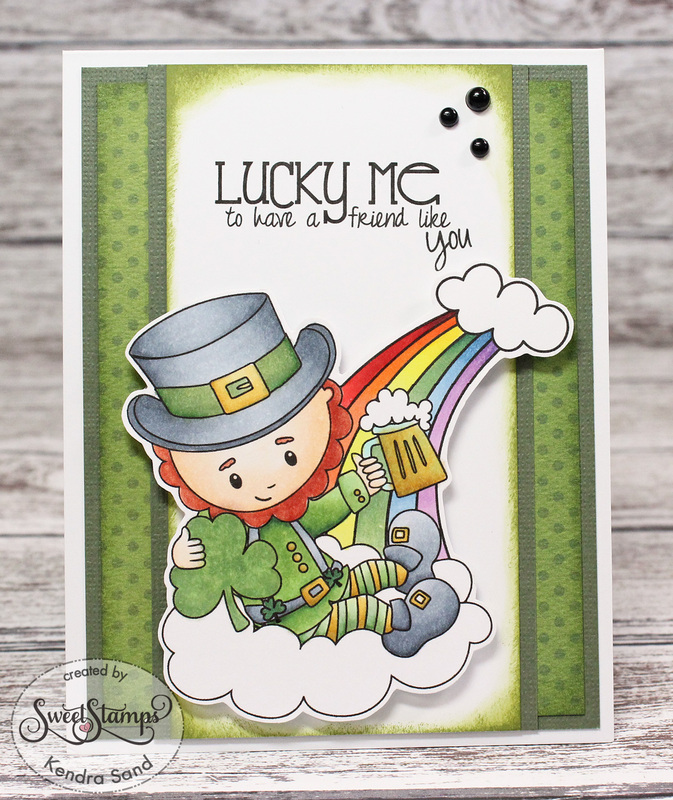 Be sure to join in our Blog Hop for a chance at winning one of our new stamps!!! You have until tonight to hop!! 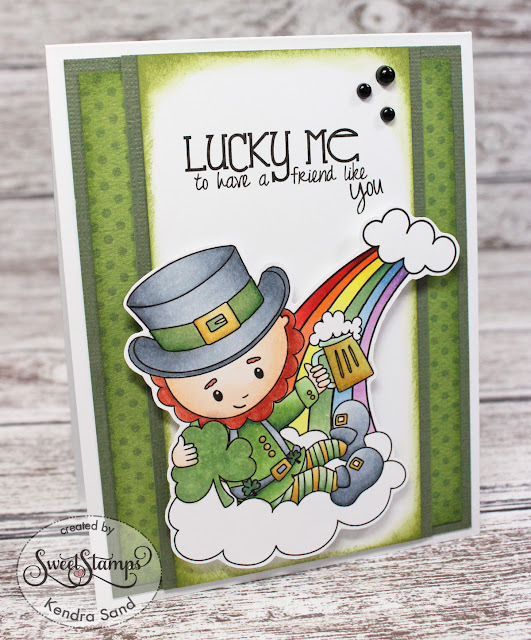 This is so cute, love the way you colored the Leprechaun and rainbow. Sweet! !